The reason 12 countries instead of 14 countries because there were Brunei and Japan involvement. However, Japan only deployed manpower there were no assets. Brunei is deploying vessel patrol to their sea instead of aircraft. Malaysian government mobilized its civil aviation department, air force, navy and maritime enforcement agency. The first country to act in this mission surely was Malaysian government. There would be alot of question ! What kind of assets they have been deployed to the sea finding debris? Which country assets stand out among the search and rescue? What kind of technologies they have utilized to enhance and facilitate the process of search and rescue mission ? Countries that has deployed assets and help in Search and Rescue mission MH370 . There are Malaysia, China, Singapore, Brunei, Australia, India, Indonesia, Japan, New Zealand, Philippine, Taiwan, Thailand, United States and Vietnam. Overall totaled 14 countries. The best assets deployed by so many countries. There are Lockheed Hercules, Singapore's Formidable frigate, China satellite, India and America's P8 Poseidon aircraft. Frigates sent by various country are equally important. Highly advanced Destroyer class vessels from U.S.
March 19, 2014(updated) - As the search expanded and targeting Indian Ocean after closing of South China Sea search, the new area of searching MH370 Malaysia Airline is huge and massive. Malaysia is requesting help from many countries. A total of 26 countries will be involved in SAR mission. There will be another country deploying assets to aid this mission. It would be Republic of Korea, Japan United Arab Emirates. China : Kunlun Shan, Type 071 amphibious transport dock, Jinggang Shan, Type 052C destroyer. Besides, they have deployed professional diver, medical personnel and underwater detection equipment. There is a news saying that China tasked ten orbiting defense satellite over the area. India : Four warships and 6 aircrafts including 3 helicopters. INS Saryu, INS Kessari and INS Kumbhir, Dornier Do 228, Lockheed Martin C130 Super Hercules, Mil Mi 17, Boeing P8 Poseidon, Tupolev TU142, Rukmini. Japan : A disaster relief team formed by ministry of foreign affairs, ministry of defense, coast guard and international cooperation agency. Philippine : BRP Gregorio, BRP Emilio, BRP Apolinario, Fokker F27 Friendship, Britten Norman Defender. Singapore : C130 Hercules, Formidable class frigate, Sikorsky Seahawk, Victory class corvett. Singapore deployed Submarine rescue ship with divers. Vietnam : Antonov An 26 , CASA C212 Aviocar, de Havilland Canada, Mil Mi 17. CN235 - A transport plane. Jointly developed by CASA of Spain and Indonesian manufacturer IPTN. Serve as a regional airliner and military transport. It primary role include maritime patrol, surveillance, and air transport. Beechcraft Model 200 - A plane highly designed for aerial surveying and reconnaissance. A very popular plane in US and France. Due to popularity, engineer continue developing Model 200 to a better plane. Lockheed C130 Hercules - Four engine turboprop military transport aircraft. For your information, Lockheed manufacture made the best aircraft in the world. 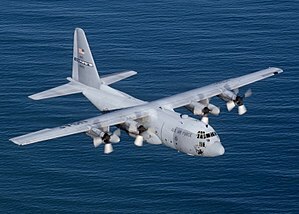 C130 Hercules, It is one of the best aircraft. Capable of using unprepared runaways to takeoff and landing. It can used for airborne assault, search and rescue, scientific research support, weather reconnaissance, aerial fueling, maritime patrol, aerial fighting. IT has been deployed to save fire engulfed forests. It is now deployed by Malaysian air force to find MH370. Bombardier Global Express - Large cabin, ultra long range business jet. AgustaWestland AW109 - light-weight, twin engine, eigth-seats multipurpose helicopter. It is widely used to mission such as air ambulance and search and rescue. Eurocopter EC725 - Long range tactical transport helicopter or widely called as Super Cougar. The helicopter has been deployed for various mission including troop transport, casualty evacuation and combat search and rescue duties. It is unclear Malaysian deployed civilian type EC225 or military type EC725. Both of them are from same manufacturer. LockHeed AP-3C Orion - Naval fleet support, maritime surveillance, search and survivor supply, anti surface and anti submarine warfare. Currently Australia and US operators only. It has upgraded radar detection for intelligent gathering and computer system. USS Kidd - U.S deployed 3 large vessels. This image is a USS Kidd vessel. A destroyer class vessel. Taiwan and Singapore both owned C130 Hercules and they had deployed for the mission. Besides, they also deployed at least one frigate. Kunlun Shan - Two large vessels has been deployed for seek and rescue mission MH370. India is serious on this mission. They have sent their own made frigate and many more assets. India and Vietnam sent Mil Mi Hawk. Philippine too has their own frigate deployed for the mission. INS Saryu - Largest offshore patrol vessel. INS Saryu is a warpship class. Besides, INS Saryu, there were 2 more large vessels deployed. Boeing P8 Poseidon - Deployed by India and U.S . India deployed Lockheed Hercules, Mil Mi 17 and Boeing P8 Poseidon . It is intended to conduct anti-submarine warfare, anti-surface warfare and shipping interdiction. It is capable dropping torpedo and missile. It also frequently carrying duties to perform depth charges and sonobuoys.